I’ve eaten tamales from other countries, but the traditional Mexican tamales are my favorite by far! My aunt Marisela, from Monterrey, makes the BEST tamales. I’ve even brought some home with me on an airplane before. That’s how yummy they are. My aunt Mari usually sticks to three types – pulled pork, chicken, and refried beans – but I’ve tried many other kinds. Corn, cheese, potato, beef, sweet tamales filled with dried fruit… the possibilities are endless. Now that I think about it, besides potato or corn, I don’t think I’ve ever just had a veggie tamal. A combination of roasted vegetables sounds delicious, doesn’t it? Haven’t tried ’em with seafood either, since that’s not a big thing in Northern Mexico. Just thinking about a lobster tamal makes my mouth water, though! Soak the corn husks in hot water to soften them up. Spread a layer of the masa mixture on each husk. Roll up the tamale and fold the husk over to seal. Steam the tamales for an hour or so, adding water as needed. My aunt uses a big pasta pot with a steamer basket. Mmmm… nothing better than tamales straight out of the steamer! Sounds easy enough, no? I like them hot. I like them cold. I like them plain. I like them with salsa and sour cream. They freeze really well. Okay, now I’m hungry. What kind of tamal would you like to eat? Use your imagination! Maseca is a staple in a Latina kitchens! And not just for a tamales. It’s our go-to flour for corn tortillas, empanadas, and more. To reward its most loyal customers, Maseca has a really neat contest going on right now – through August 8th – in select supermarkets across California, North Carolina and Texas. 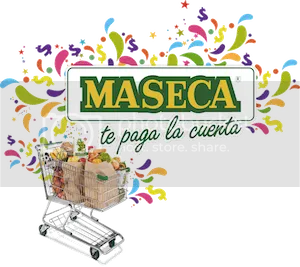 If you’re at one of these participating grocery stores, and you have a Maseca product in your cart while you are in the process of checking out the Maseca team identifies you as a winner, Maseca will pay your entire grocery store bill! 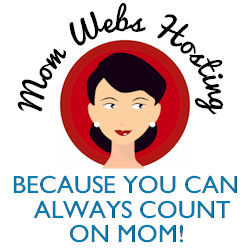 For a complete list of participating supermarkets go to mimaseca.com. Imagine going to the supermarket and coming home with a trunk full of FREE groceries? How happy would you be? On the Maseca Facebook page you can browse photos of the lucky winners thus far. Disclosure: This post was written as part of a compensated campaign for Latina Bloggers Connect and Maseca, but all opinions are my own. I like the sweet ones with raisins and walnuts! That sounds special. But it also sounds like the type of foods that need to “stand” on the pot all day to prepare it. How long does it take on average?